Why Did I Ever Become An Artist?! Uuuuuuuggggghhhhhh. Why did I become an artist? Why can’t I be good at coding, or rocket science, or accounting, or marrying rich men? Why do I have to be good at something that is so damn hard to make a living doing? I need to rearrange the room-where-art-goes-to-die so that I can bury more art in it. I’m out of art storage space. I mean, really, that room is so embarrassing I’m not even going to share a picture with you. But Emily, you say, you do make a living as an artist. Don’t you own a paint and sip studio? Yes, yes I do. Which means what I’m really making a living at is teaching. Yes, I’m teaching people to play with paint, but that’s not the same things as being an artist. What they don’t tell you in art school is that you’ll need to spend more time marketing your art than creating it. This holds true for other kinds of art, too: acting, singing, writing…pretty much everything for which I have any vague talent. Hell, I wrote a damn book full of pictures and words and chortles and sniffles and now am overwhelmed trying to just sell one book every couple weeks. I am not a marketer. I hate sales. Schmoozing is my worst nightmare. And when you’re selling your art, you’re selling yourself as much as the painting or manuscript or recording. Selling should really just be called begging. I often say that I’m not a writer despite this blog and my book, and I think one of the reasons for that is that I’m hesitant to own yet one more thing I’ll never make a living doing. Lately, I’ve been feeling like I’m really-uber-super-extra spinning my wheels. I’ve tried so many things to get my work out there, and none have panned out. I’m tired of feeling like a failure. It’s not that I doubt the quality of my work, it’s that I doubt my ability to get it seen by the people most likely to buy it (whoever the hell those people are). I get shut down so easily by rejection, so it’s really hard for me to keep pushing and rolling with them as they come. I am, admittedly, too sensitive. I hate that about myself, and I’m trying to toughen up, but so far, I’m still all soft and squishy. And so, as happens every couple years, I find myself in an existential crisis: how do I justify spending so much time, money, and effort making art that’s just going to sit in our third bedroom collecting dust? Do I really need to paint? Could I just…stop? What would that be like? Do I do it because it’s a habit or because it’s what I’m passionate about? I don’t read art magazines or follow the latest art trends. I studied art history in college, but I’m still woefully ignorant and disinclined to correct said ignorance. So if art isn’t in my blood per se, then why the hell do I keep doing it? Boredom? Maybe I just need another hobby. Maybe I should take up wingsuit flying, or collecting swords, or falconry. I swear, half the time painting’s not even fun. There’s always a step or two you have to get through to get to the good stuff. But then, I guess, half the time it is fun, and maybe that’s why I keep going? 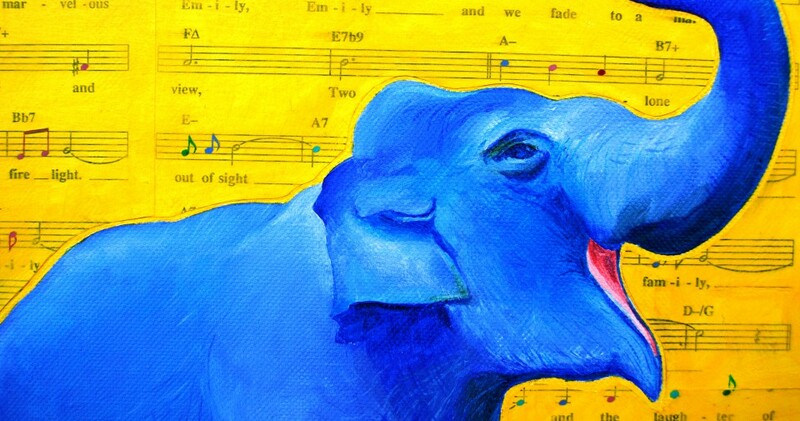 Though the let down when I add a new painting to the piles of other art that haven’t found a forever home (or maybe they have, and it’s in storage, which is even sadder) kinda negates the fun of making it. I’m leaving in a couple days for a trip down the Seine with my mom. I’ll be gone for about 2 weeks. I’ll be bringing my watercolors, but maybe I’ll experiment with not painting for awhile and see how that feels. Maybe I’ll see so much great art on the trip that I won’t feel like I need to make more. Maybe there’s already enough. Or maybe I’ll be totally inspired and feel like I absolutely have to waste more time and energy. We’ll see. Anyway, I’ve lined up a couple guest blogs and will post some old paintings and such while I’m gone so you don’t end up totally bereft without me. Drink some French wine in my honor until I return! Or better yet, drink some bourbon. This bottle has my name all over it. This is what happens when you talk about bourbon all the time: your friends bring you awesome gifts like this! This is a story about writing and publishing a story. The first thing you should know is that it miiiiight have been a mistake to self-publish, but then again, it might not. I will say that I regret a couple things, and in hopes that I can save other authors some heartache, I’m going to share the mistakes I’ve made (so far, because let’s be honest, I’m going to make more of them). Thing one that I regret: I opted to run a crowdfunding campaign through Publishizer instead of through Indiegogo or Kickstarter. I went into it not realizing that Publishizer would take a way bigger cut of the money I raised than those other sites do. I also thought that they would be hooking me up with legitimate publishers. Not the case. They just pitch your idea mostly to vanity publishers, who don’t really need to be pitched. Vanity publishers just want to get paid to publish your book. So not really helpful there, and certainly not worth an extra 20% of the money I raised. There were a couple of actual publishers that approached me, and perhaps I should have considered them more, but I’d heard some horror stories of authors making no money because of poorly managed book launches. And I’d done so well with pre-orders, I decided it was worth my time and effort to promote my own work and not rely on someone else. We’ll see how that works out soon. Thing two that I regret: the publisher I chose. After speaking to several, I went with BookFuel. Bad idea. Right from the start things started to go wrong. They wouldn’t lay out the book the way I had envisioned. Every step took infinitely longer than it should have. I’d complete a step and send it off to my account manager, then wait a few weeks. I’d finally reach out to check on the status and each and every time it would have magically “just come back” from whatever department it had been in. What a coincidence. Every. Single. Time. And the kicker was that, when I received my sample copies (which were both really low quality), they had changed the formatting from the approved manuscript and eliminated the strike-throughs I’d included. So sentences that should have read something like, “He had raised me not to cry, though I was a giant ball of weepiness considerably less skilled at suppressing my tears,” now read, “He had raised me not to cry, though I was a giant ball of weepiness considerably less skilled at suppressing my tears.” When I alerted them to it, they wanted to charge me to fix it. And the blasted thing is still available on Amazon, even though I’ve asked them to take it down. So yeah, not happy with BookFuel. I’m still in the process of negotiating with them to terminate our agreement, and hopefully that will be resolved soon. But it’s been an expensive lesson. All of that being said, I found another company to print my book, and so far am pretty happy with them. With Blurb, I’ve had total control over the layout, the print quality is higher, and it costs me less per book when I buy in bulk. The only down side is that the print-on-demand books (i.e., through Amazon), are more expensive than they would have been through BookFuel so I earn less money when people purchase that way. You can buy the paperback directly from me here. This is my most favoritestest way, because I make the most money on each book and you’ll save a few dollars. You can buy the hardcover and paperback versions on Amazon here. If you want a hardcover, this is currently your only option. Please note that the first version with the formatting errors is likely still going to show, so to get the right one, you’ll be looking for the one that offers the hardcover for $39.95 and the softcover for $29.95. You can buy the eBook here and here. 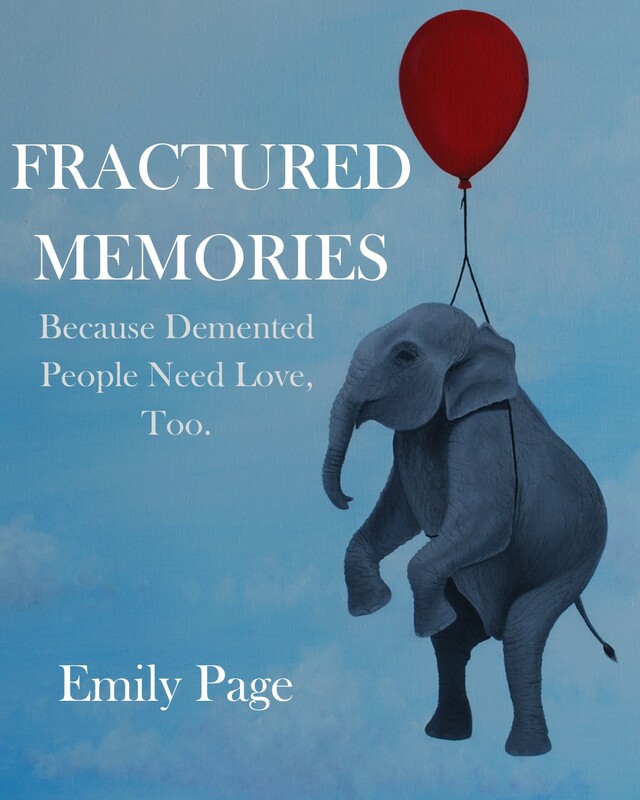 Once you’ve had a chance to read it, and if you liked it, pleeeeeease consider leaving a review on Amazon or GoodReads (https://www.goodreads.com/book/show/34408526-fractured-memories?from_search=true)or your own blog/social media. And then tell everyone you know!